When it comes to home improvement projects, people typically think big. Though a new en suite, bedroom and conservatory are among the most popular options, recent research has indicated that the smaller changes provide the best return on investment. A brilliant example of this is a replacement front door. 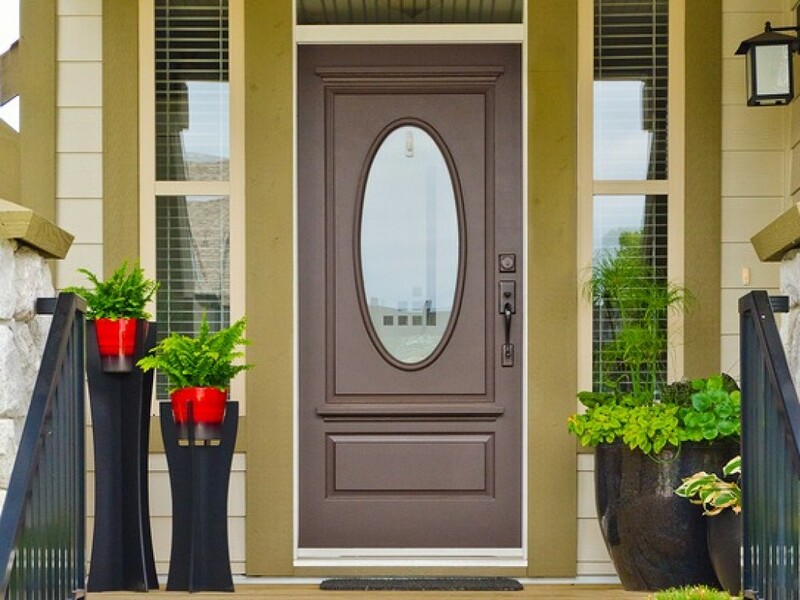 Almost an afterthought in the eyes of some, a strong, durable and aesthetically pleasing entrance unit offers several advantages to both property owners and their families. With the endless list of models that are currently on the market, now is a better time than ever to splash out on a new unit – people have the ability to pick out something that seamlessly fits into the rest of their home’s exterior. While most are still white, over the years this has resulted in us seeing some rather interestingly coloured doors. You’ll have probably heard of the phrase ‘curb appeal’ by now – essentially defined as the attractiveness of a building from the outside. Whether we like it or not, we’re all extremely quick to make sharp judgements, and regularly do so when met with a new living space. Visitors will be no different before entering your house, so with this in mind, it simply makes sense to front it with a high quality door. As mentioned above, it’s often the smaller projects that offer the highest return on investment. If statistics released earlier this year are to be believed then a new front door could in fact make back over three times the amount of money that the buyer initially paid for it. Considering that the model isn’t likely to be expensive when compared with other home improvement plans, this seems like a no brainer to us! If there’s one thing that we don’t need any more of, it’s cleaning. Fortunately, doors made out of materials like aluminium require very little maintenance, and are extremely resistant to weathering. This means that – as well as being suitable all-year round – they’ll last much longer, and retain their colour without the need to continually repaint. Ever noticed your hallway being a bit drafty? If so, it may well be time to start searching for a new front door. The more up-to-date models are manufactured with energy ratings and U values in mind, meaning that less heat will escape from the property. This could in turn help to decrease those seemingly ever-increasing heating bills. Last but certainly not least comes security – perhaps the most important aspect of any replacement door. Models made by well-respected and reputable companies will ensure that every single one of their units features stringent safety measures, and is resistant to any break-in attempts. Leading designers, manufacturers and installers take such matters into account when crafting their bi-folding, sliding, patio and front doors. This ensures that despite making large home improvements, like adding new front doors, you can enjoy using them rather than worrying about them and your home.